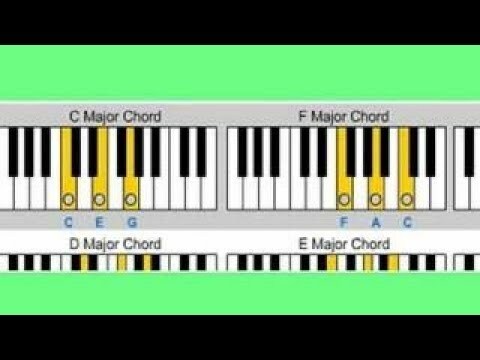 Since the chord chart covers two pages, the chart itself is 12" x 18". * Lamination: The chart is laminated, and is very sturdy. * NOTE: The keyboard diagrams and musical notation for all of the chords are for the LEFT HAND and BASS STAFF ONLY.... 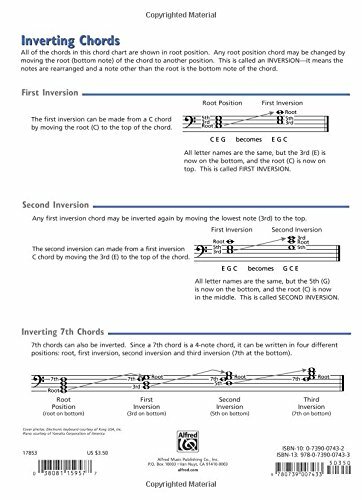 Since the chord chart covers two pages, the chart itself is 12" x 18". * Lamination: The chart is laminated, and is very sturdy. * NOTE: The keyboard diagrams and musical notation for all of the chords are for the LEFT HAND and BASS STAFF ONLY.